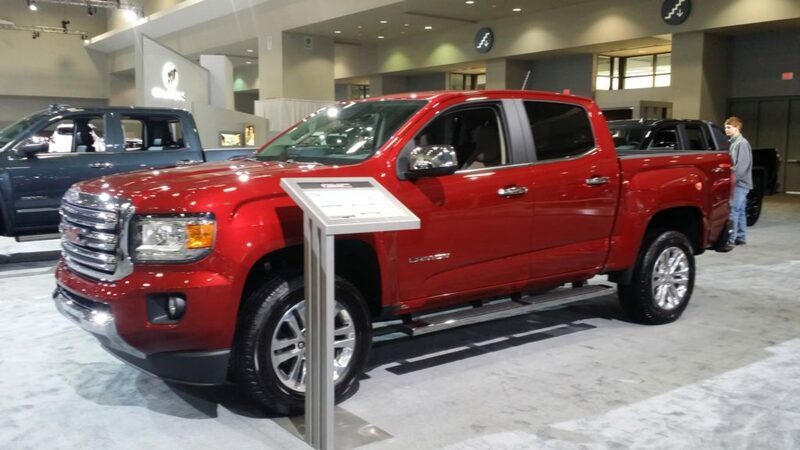 You are here: Home / Cars, Trucks, & Jeeps / Media Day at the Washington Auto Show! Have you ever wanted to sit in your dream car or truck just once? Pretend that it’s yours and drive away? See the newest cars available before they show up at the dealership? Maybe it is the chance to look at tons of vehicles without being pressured into buying one. Whatever the reason, the Washington Auto Show is the best place to do that. You aren’t talking to salesmen, you are talking to the men and women that design, build, and test these vehicles to make sure they are safe for your family and mine. 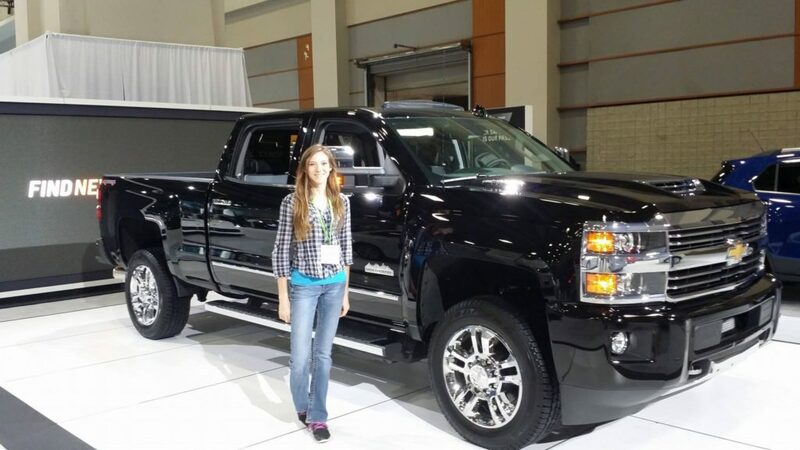 I had the opportunity to attend the Washington Auto Show and let me tell you… WOW! The number of new cars that were driven and polished and even raced across the salt flats to break a land speed record, it was amazing. Could you believe that a hybrid car would reach 157 miles per hour!? I couldn’t, but the Hyundai IONIQ can do just that. I took most of my time climbing in and out of every truck and SUV on the show room floor. Chevrolet brought a brand new 2017 Chevy Silverado HD High Country edition. Talk about luxury in a truck. What about the new Cadillac Escalade? It was as luxurious as ever and included a few new features. The show isn’t over yet so if you haven’t had a chance to go, here are a list of reasons you should make it a priority! Who likes going to a dealership to test drive your dream car or truck and then getting pressured into buying it? Uh… NO ONE! At the Washington Auto Show, you don’t deal with the salesman. You get to talk to the people that design these vehicles. Pre-production models are NEVER at the dealership. You only get to see the vehicles that are on sale at that moment. Plus, if there is a vehicle you want to see and isn’t in stock, you walk away feeling guilty about purchasing a car you aren’t happy with or the sales people call you until you feel bad about going in the first place. How often do you go to look at cars and enter to win cash!? Multiple manufacturers are offering show specials if you sign up for a test drive. You can win gift cards just for driving a car. The U.S. Army has a booth there, and located at that particular booth is a brand new Chevy Colorado ZH Built specifically for the military, this little truck runs off a hydrogen fuel cell. It’s totally quiet, entirely fuel efficient, and can go anywhere our soldiers need to go whether it is through a small village or over a mountain! Not entirely sure what truck with be your next? Grab a reusable bag from the Hyundai booth and then collect brochures from all the other booths. Bring a pen so you can make notes about each vehicle you like in the brochure. Take the brochures and your notes home, then take you time comparing everything. Buying a car is not a quick decision. Some people take weeks or even months to decide what they will buy. Do yourself a favor, if you are in the market for a new car, make a trip to the Washington Auto Show. I promise it will be worth it! 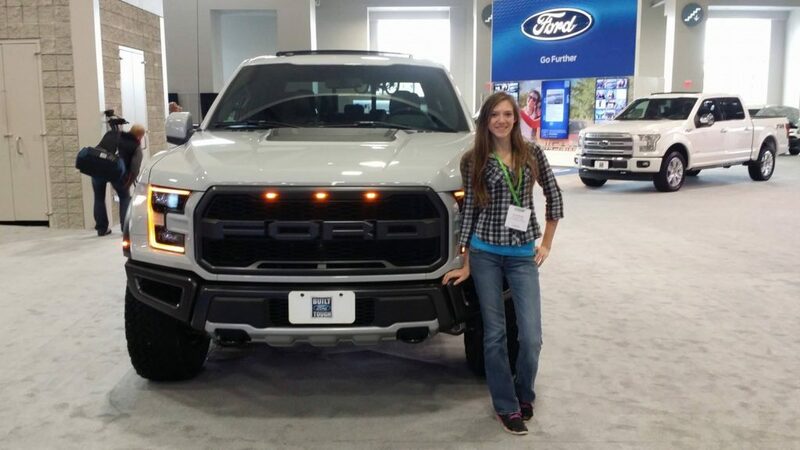 For more pictures from the Washington Auto Show, check out Kat Haas Outdoors on Instagram and Twitter! I’ve had my eye on either the GMC Canyon Duramax or the Chevy Silverado High Country Duramax. Those diesel engines last forever!